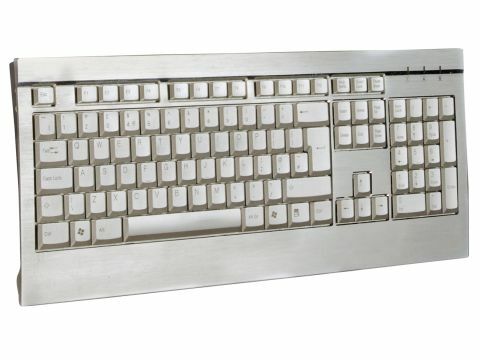 This is the very Cylon Interceptor of keyboards. With the main body constructed of gert lush brushed alu (the keys are plastic) this board could decapitate a man at 20 paces, and he wouldn't even notice. The Aurora has scissor-switch keys, which most of us think is a great thing for games. It's not the cheapest board around, and it has no media keys, but it'll bring joy for years to come.